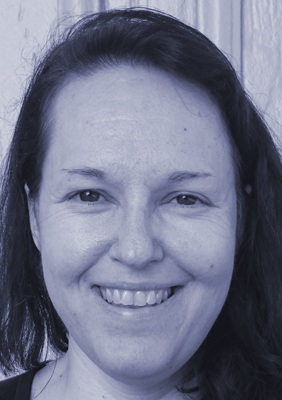 Dr. Elisabeth Eneroth is Lecturer at Malmö University and an affiliated researcher with The Cluster of Excellence, “The Formation of Normative Orders” at Johann Wolfgang Goethe-Universität Frankfurt am Main. Her main areas of research are social and welfare law, legal philosophy and empirical legal studies. Eneroth defended her doctoral dissertation in social and welfare law at The Faculty of Law at Lund University in 2014. The dissertation is titled Unga på hem för vård eller boende. Om rättssäkerhet, legitimitet och tillit vid beslut om ungas vård (2014). The dissertation deals with legal security, legitimacy and trust with respect to decisions on the care of young persons in placement at homes for care or residence (or institutions) according to Swedish social legislation. The dissertation includes, inter alia, two empirical surveys at four homes for care or residence and four social service centers in southern Sweden. The monograph titled Critical substantive validity testing of legal norms. The example of homes for care or residence (2016) is an adaption, development and translation into English of Study II in her doctoral dissertation. Eneroth has elaborated a legal analytical tool for critical substantive validity testing of legal norms. Point of departure was Kaarlo Tuori’s Critical Legal Positivism (2002) and his concept of legal validity. Primary other influence was Jürgen Habermas’s programmatic essay on rational reconstruction, “What is Universal Pragmatics?” in Communication and the Evolution of Society (1979). Eneroth has been a visiting researcher at the Centre for Studies in Legal Culture (CRS) at The Faculty of Law at Copenhagen University (2011, 2014–2016) with Professor Hanne Petersen and Professor Ditlev Tamm, respectively, The Cluster of Excellence, “The Formation of Normative Orders” at Johann Wolfgang Goethe-Universität Frankfurt am Main with Professor Dr. Klaus Günther (2015), The Faculty of Law at University of Helsinki with Professor Kaarlo Tuori (2011–2013) and at The Department of Public and International Law at The Faculty of Law at Oslo University (2009, 2010) with Professor Asbjørn Kjønstad. Eneroth has presented her research at seminars and conferences in the Nordic countries, Europe and the United States of America, for example at The Faculty of Law at Copenhagen University (2014, 2015, 2016), Johann Wolfgang Goethe-Universität Frankfurt am Main (2015, 2016), Cardozo Law School (2017), The XXVIII World Congress of the International Association for the Philosophy of Law and Social Philosophy (IVR) (2017) and at The European University Institute (EUI) (2017).